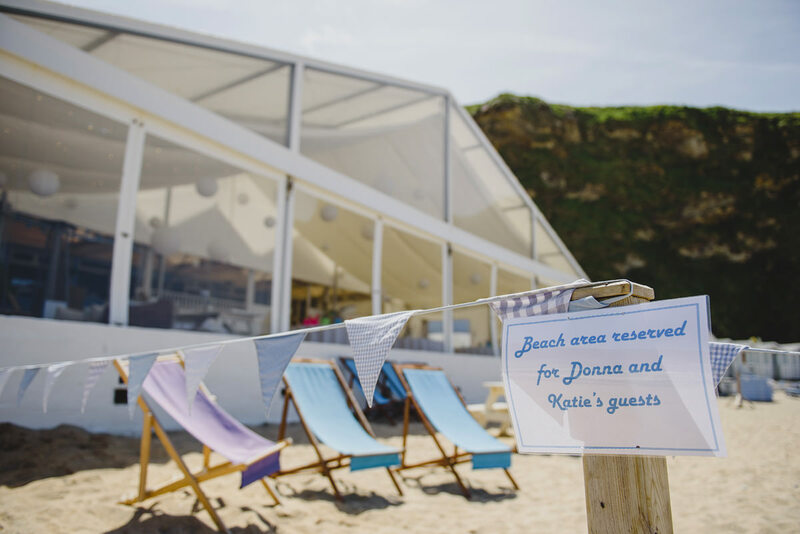 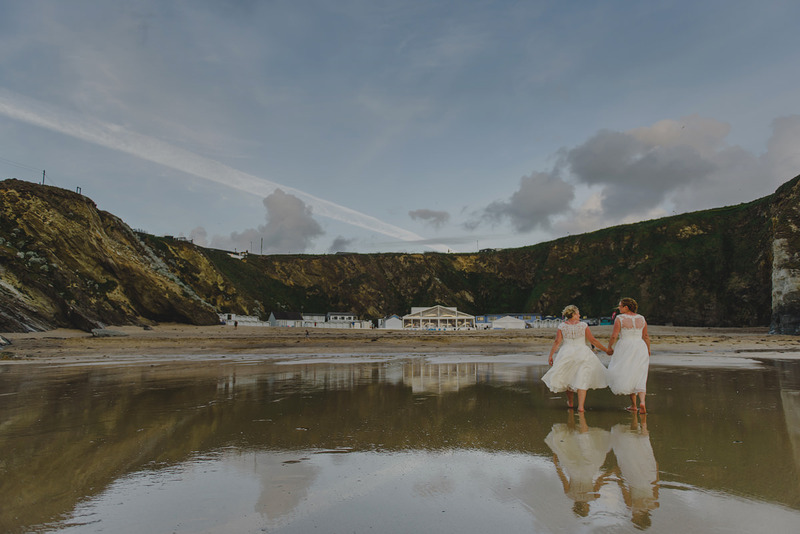 What a privilege it was to capture the wedding of the truly delightful Donna and Katie at the magnificent Lusty Glaze beach! 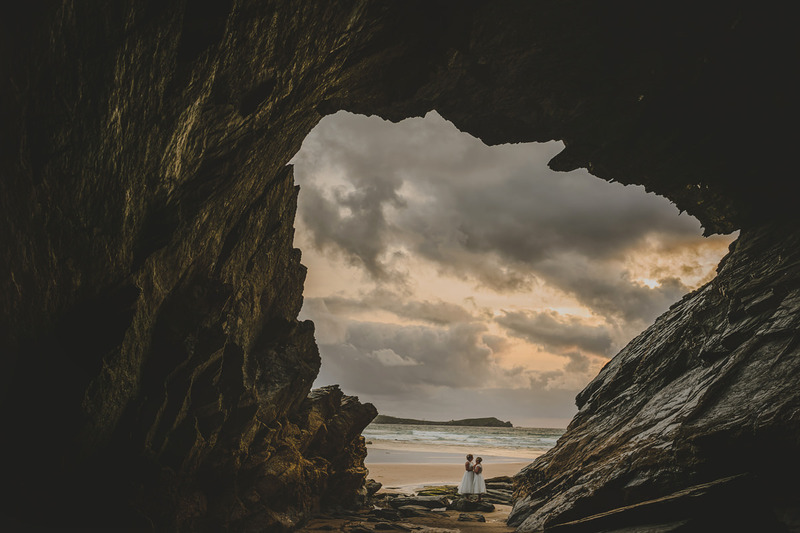 As wedding photographers in Cornwall we are spoilt with such beautiful scenery surrounding us. 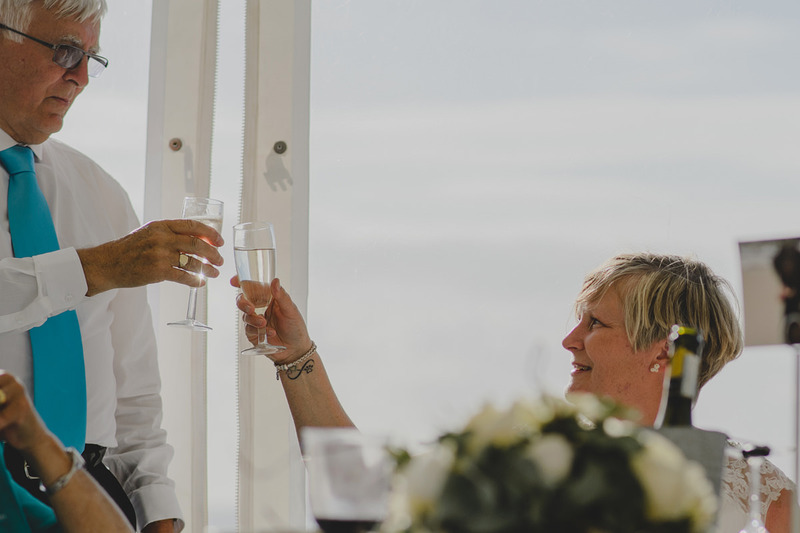 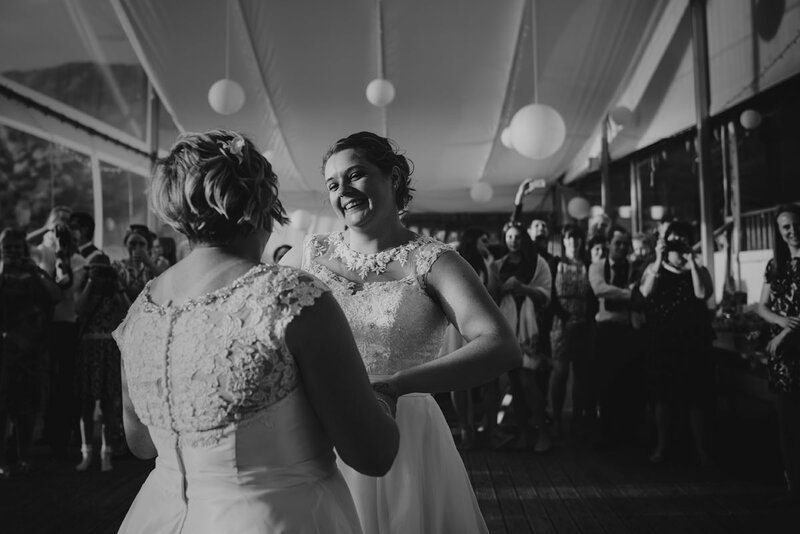 When we met with Katie and Donna for a drink at Lusty, a week or two before the big day, we loved hearing about their plans, and we couldn’t help but notice the endless smiles, loving looks, and sheer excitement! 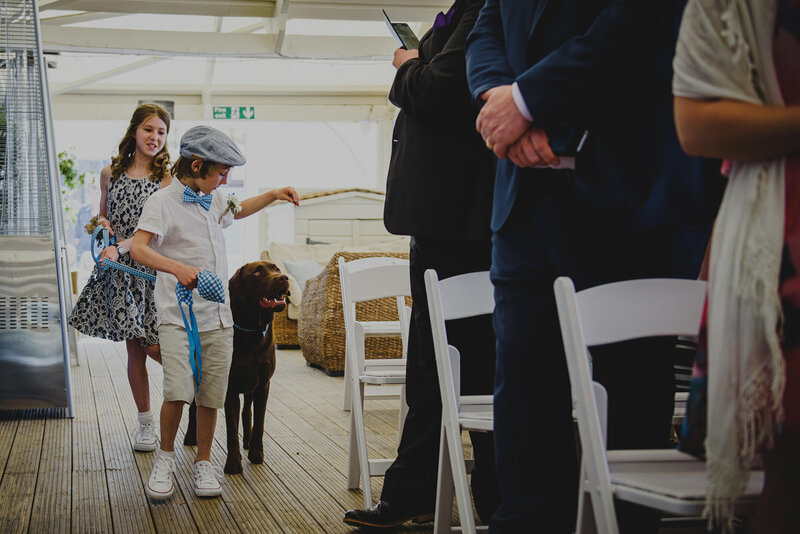 Needless to say, we knew their day featuring cute flower girls and page boys, and the honourable ring bearer, their beloved labrador Wally, was going to be one to remember :) We always tell couples – If you just be yourselves and just have fun, that’s what we capture. 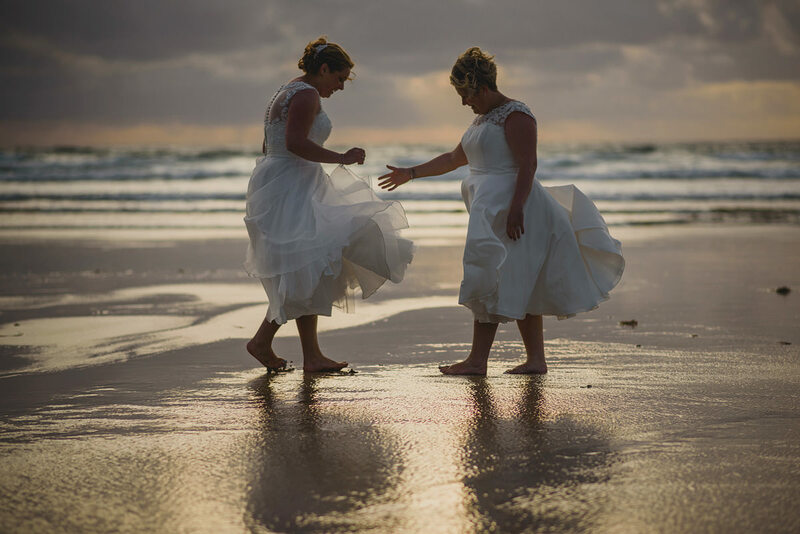 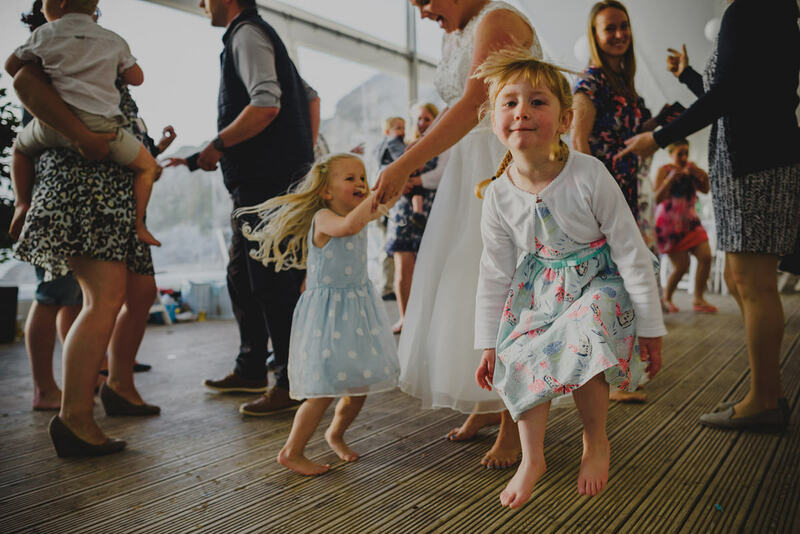 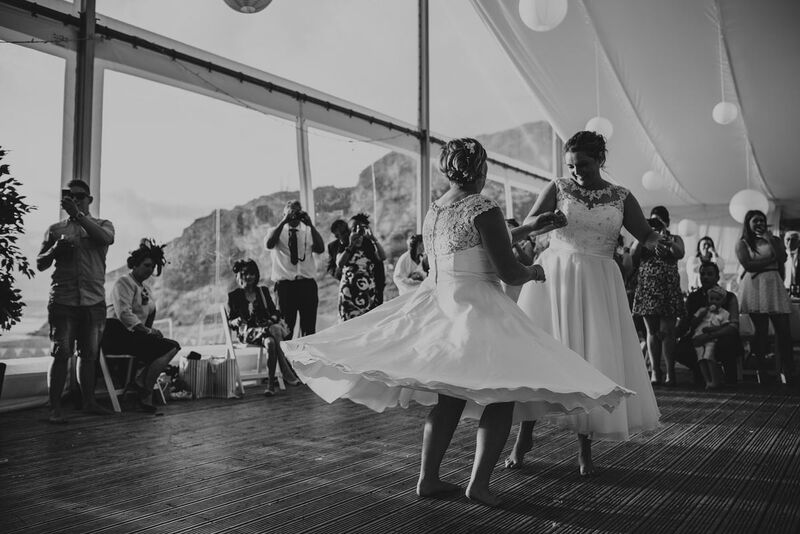 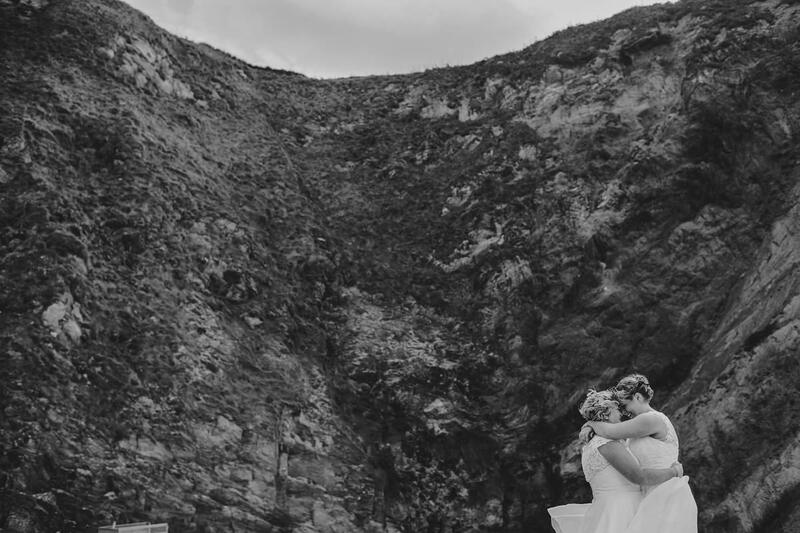 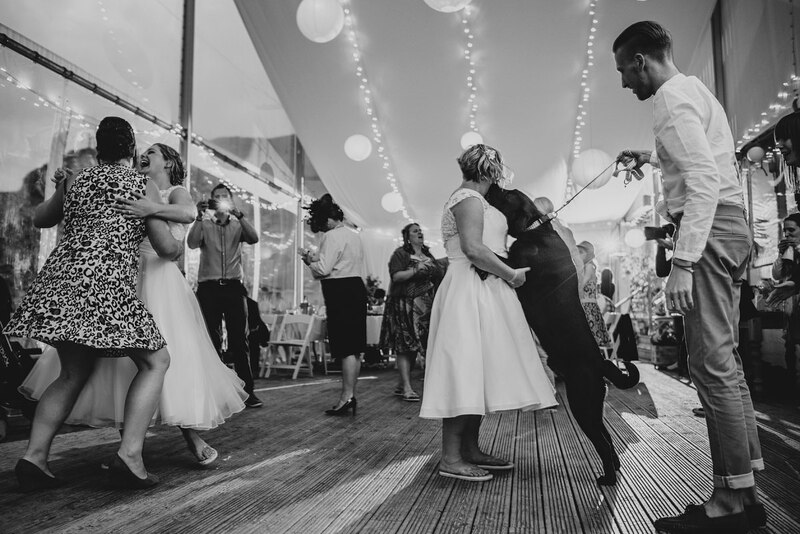 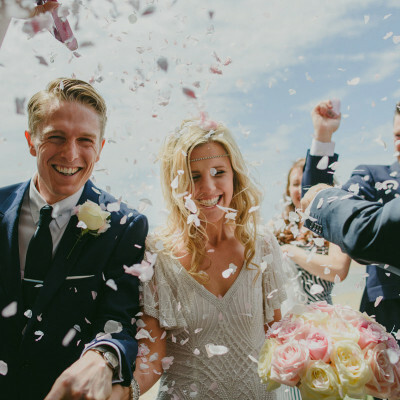 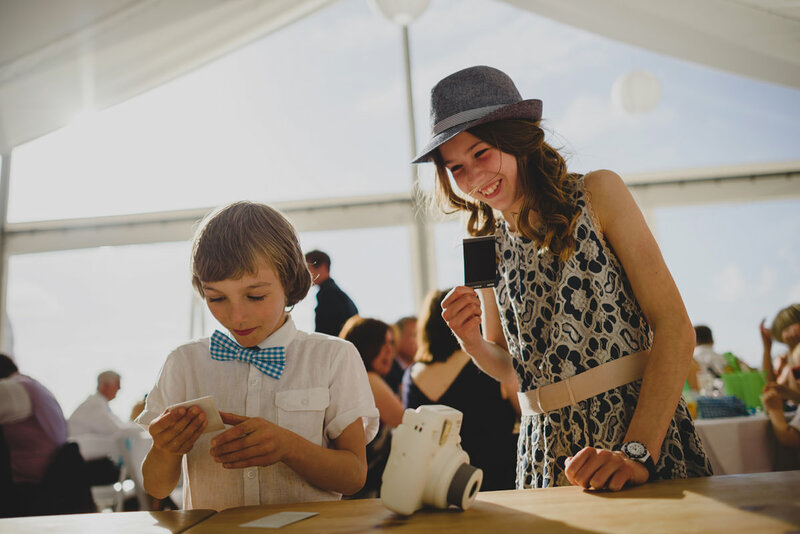 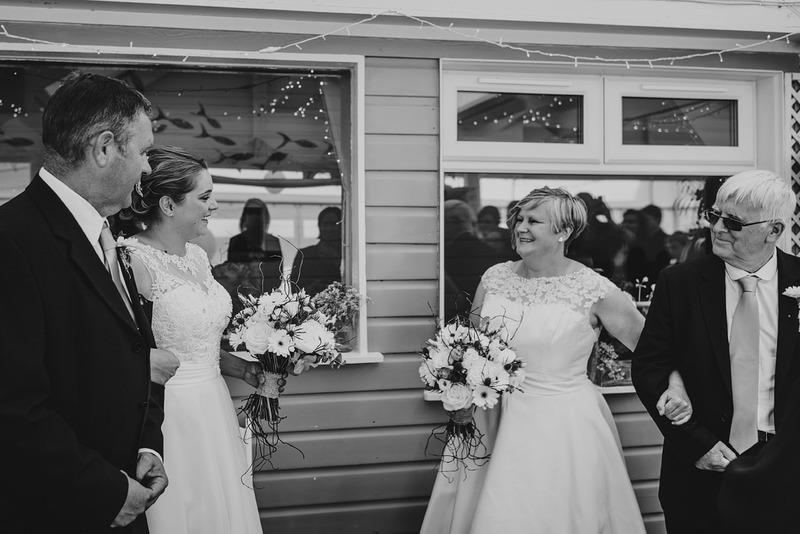 We love being wedding photographers at Lusty Glaze – it’s always so relaxed, different, unique, which is how we like to photograph every wedding. 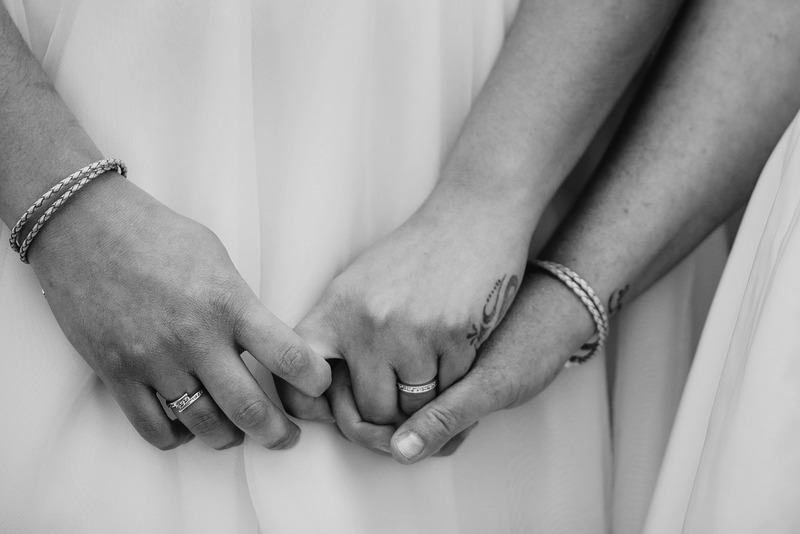 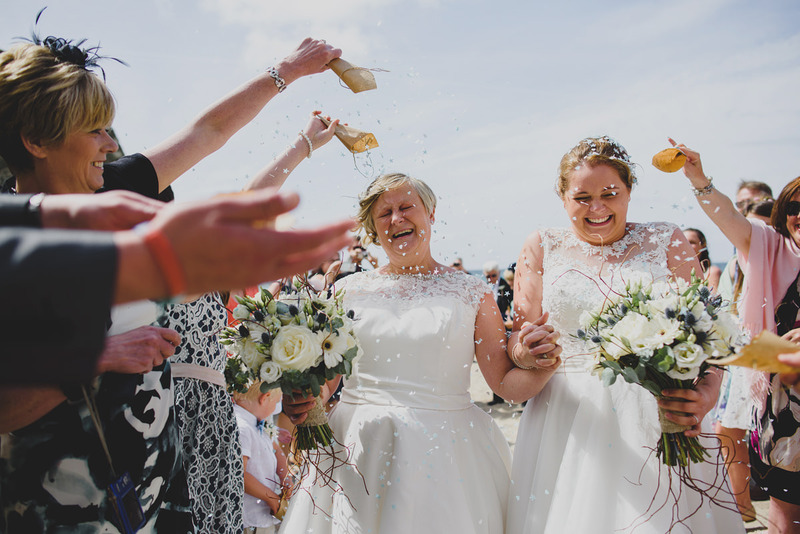 Katie and Donna chose to walk into the ceremony room from opposite ends, and see each other that way for the first time – and it was so special! 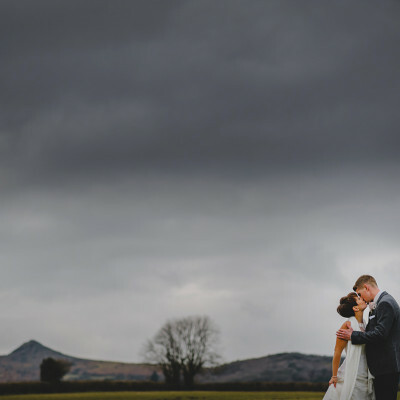 What I love most about this thing that I call a job, is how lucky I’ve been to capture the weddings of the most wonderful people. 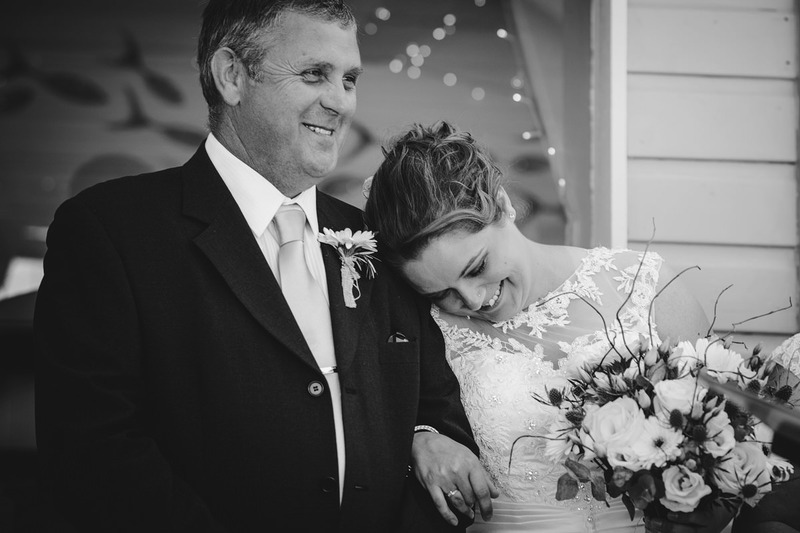 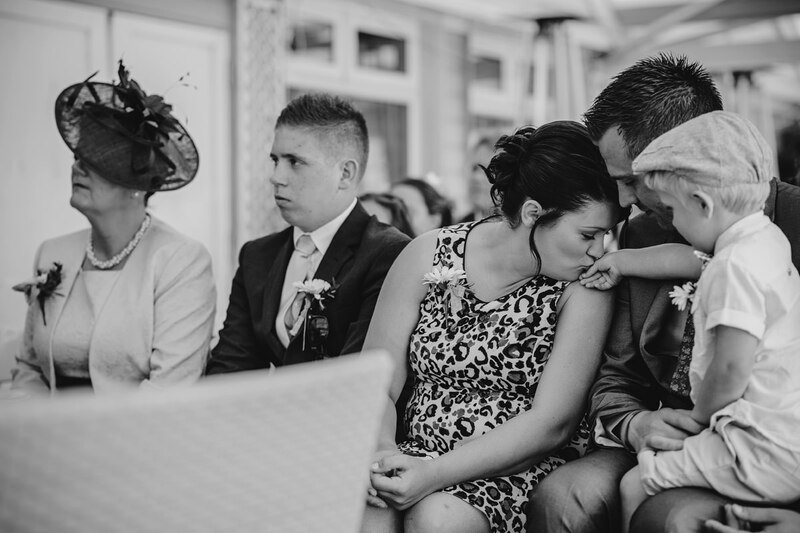 For those who have met Keith and I, will know that we love spontaneity, capturing moments the way they unfold, the true essence of each couple, their family and friends. 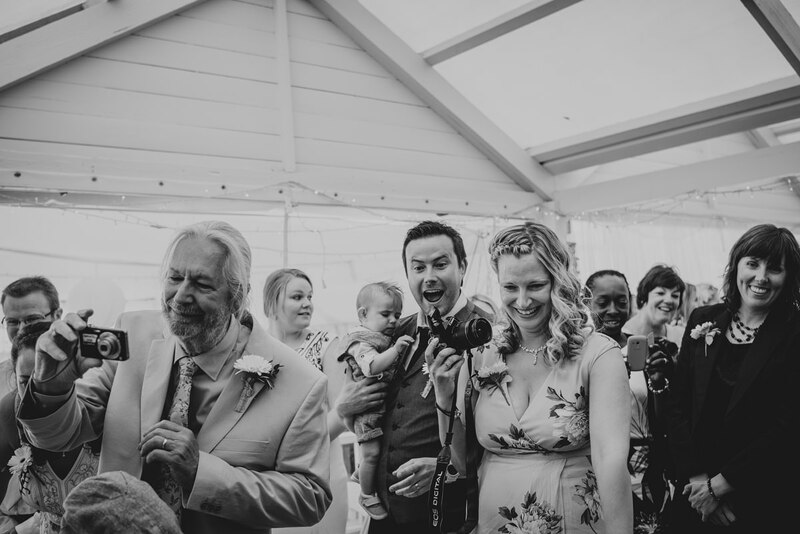 We capture a few group shots too, but find a maximum of 5-6 allows us to capture the rest of the day in a creative and honest way. 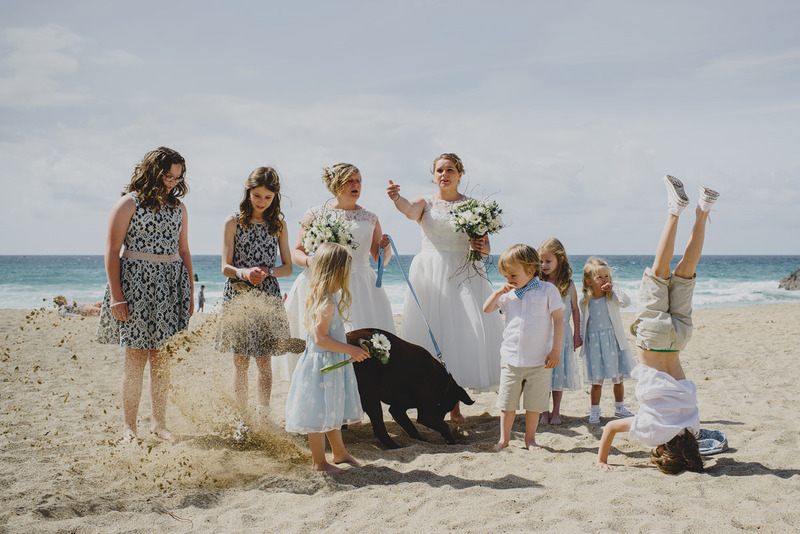 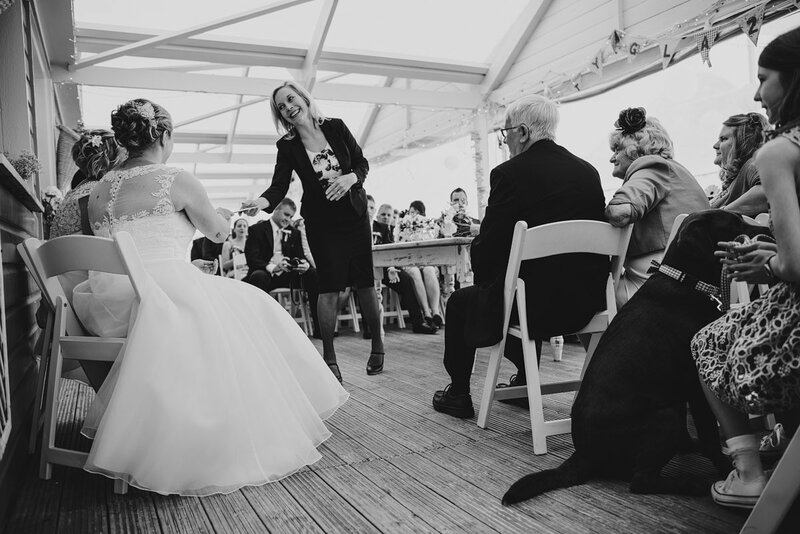 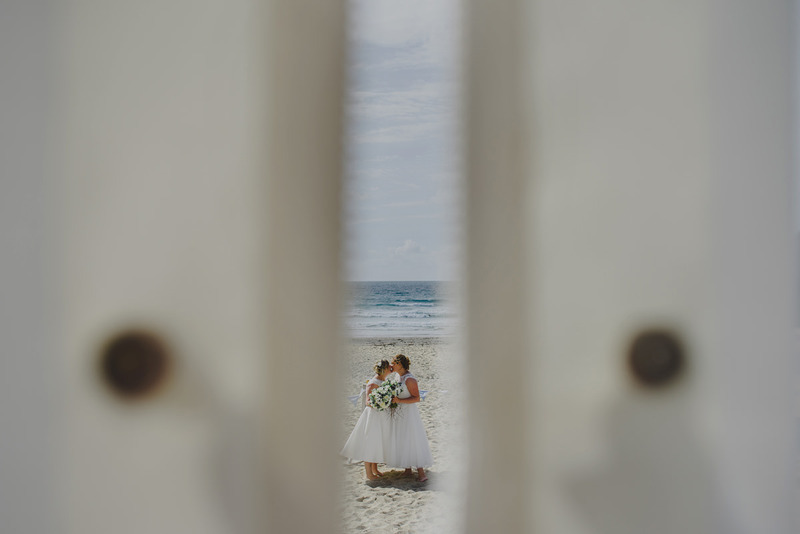 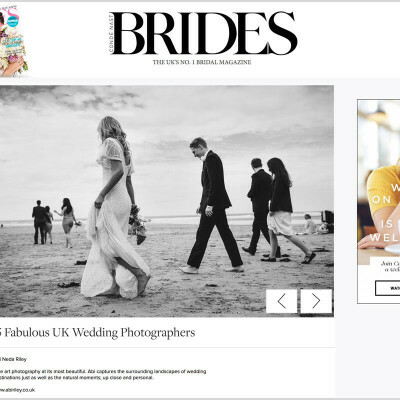 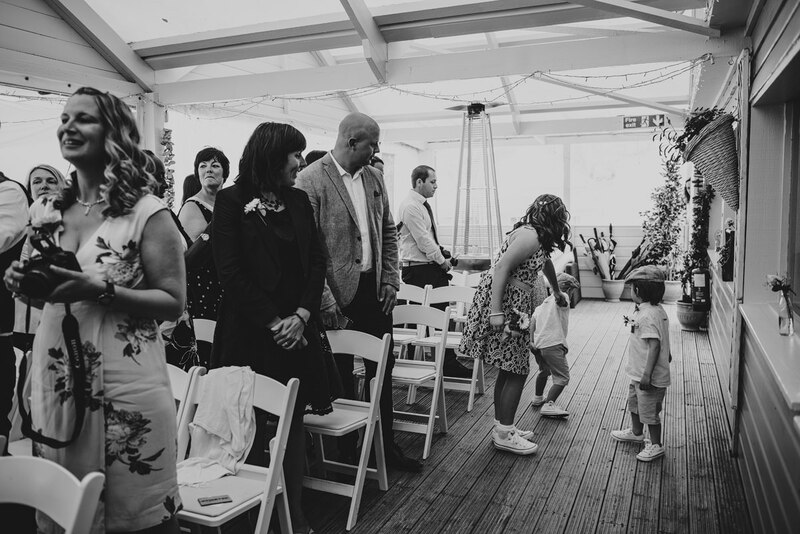 We love capturing the moments in between, for example the shot below – whilst putting the group shot together of Katie and Donna, their dog Wally was digging in the sand, and the page boy was doing a hand stand :) Also, the little girl trying to walk in high heels in the sand, and the little boy peeking from under the table during the speeches. 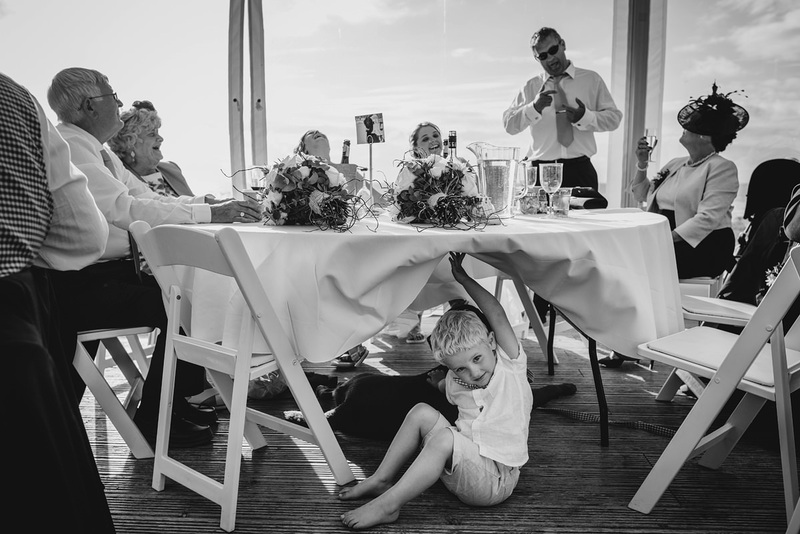 Kids and animals, love photographing the mischief they get up to! 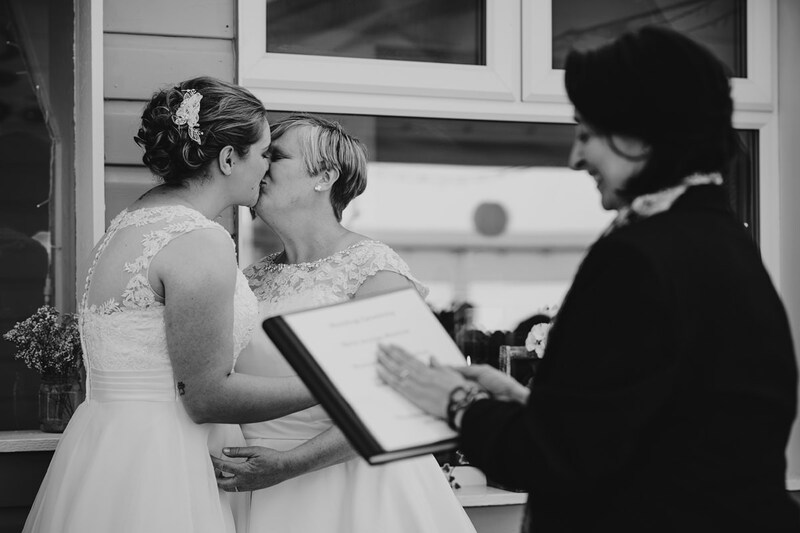 We are so happy and humbled that Katie and Donna chose Keith and I to capture their story. 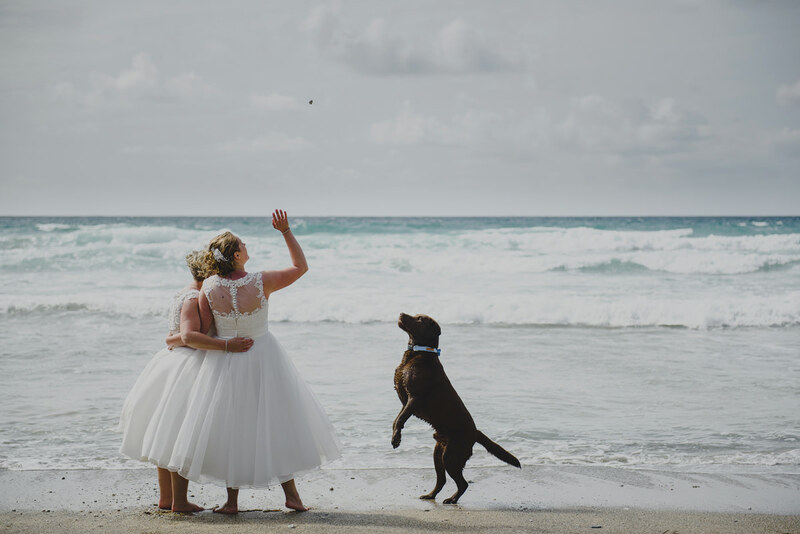 Thank you both for being so wonderful! 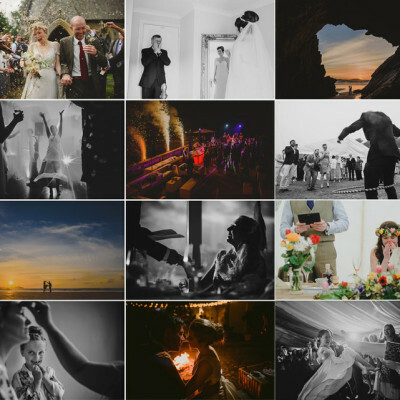 So, onto a small selection of images… hope you like them. 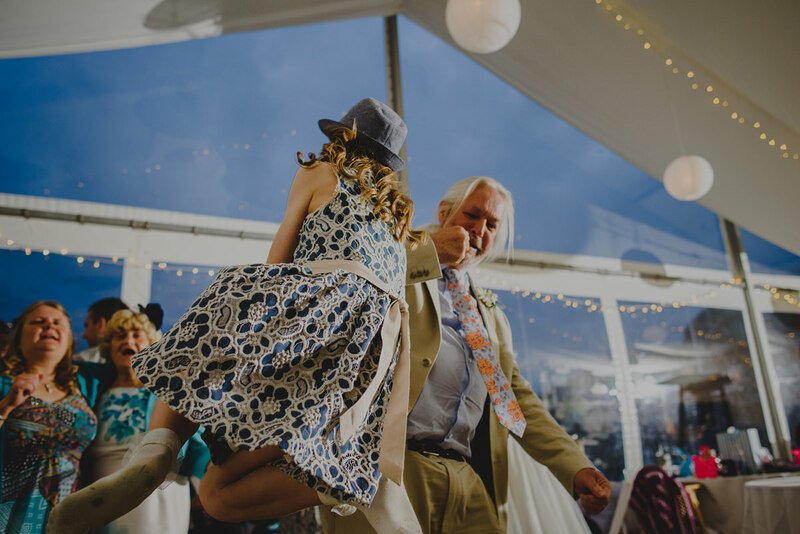 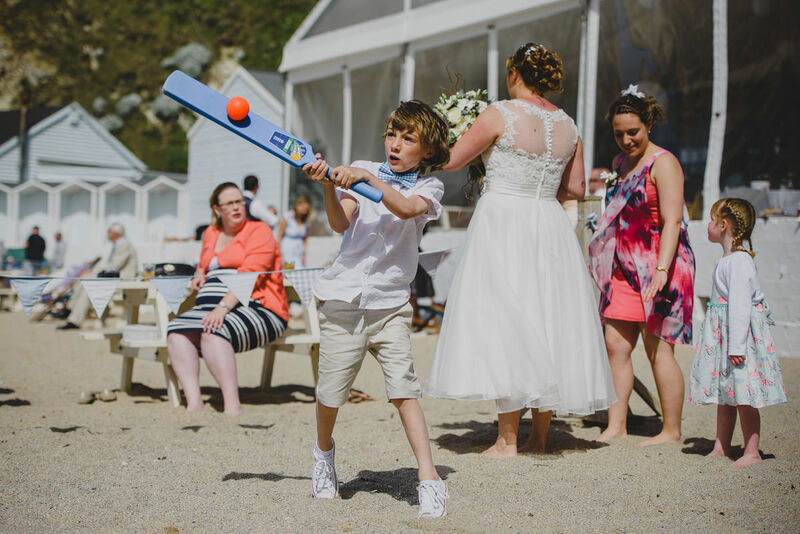 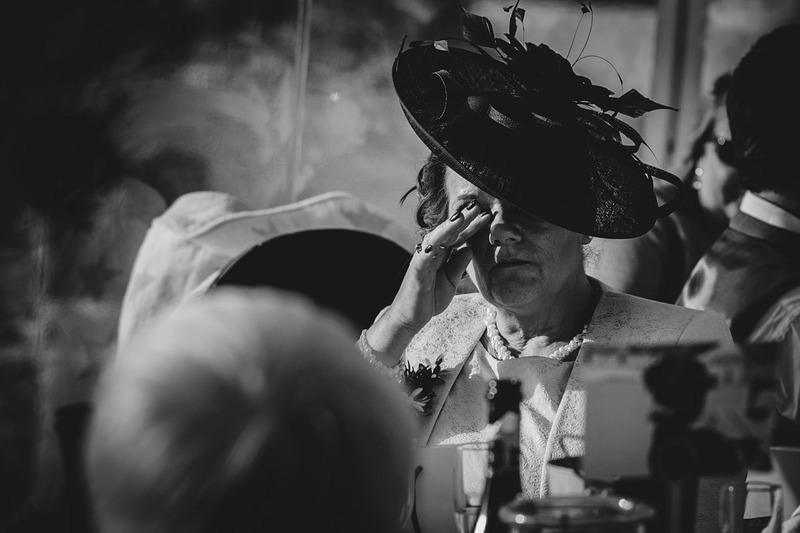 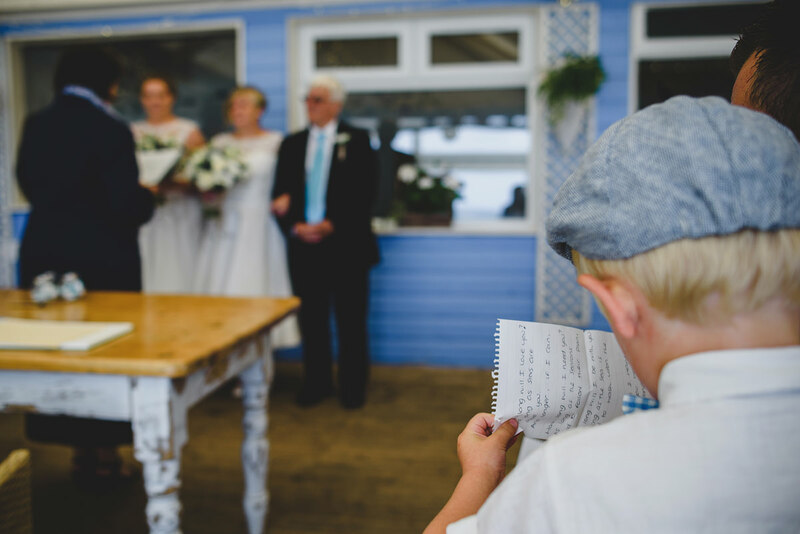 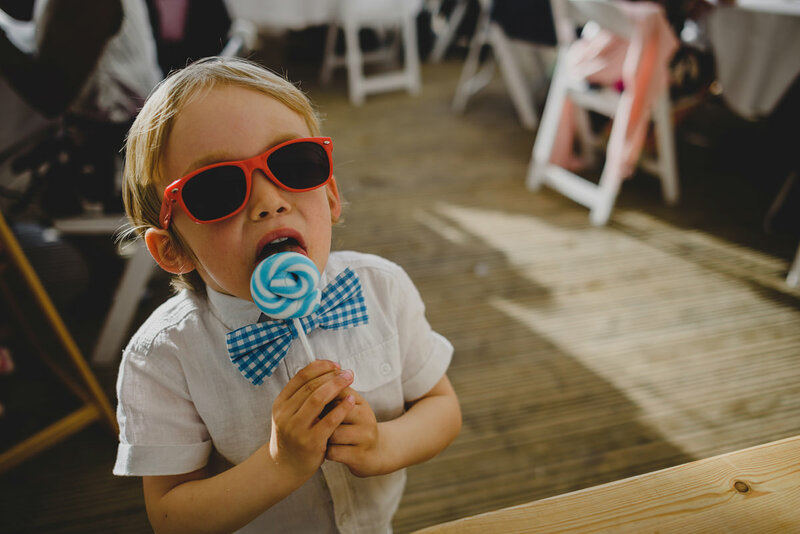 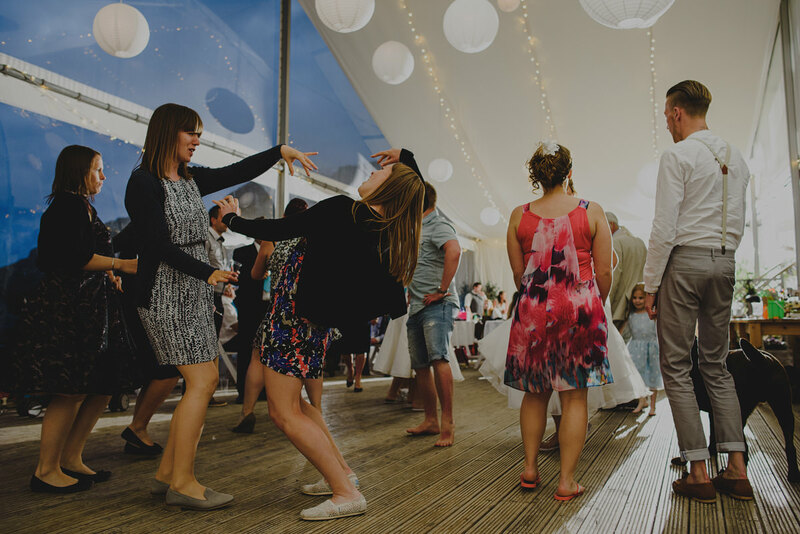 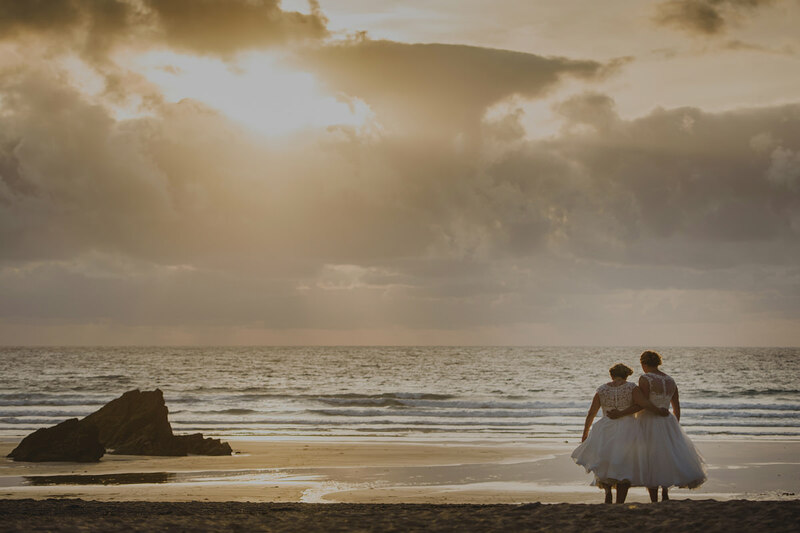 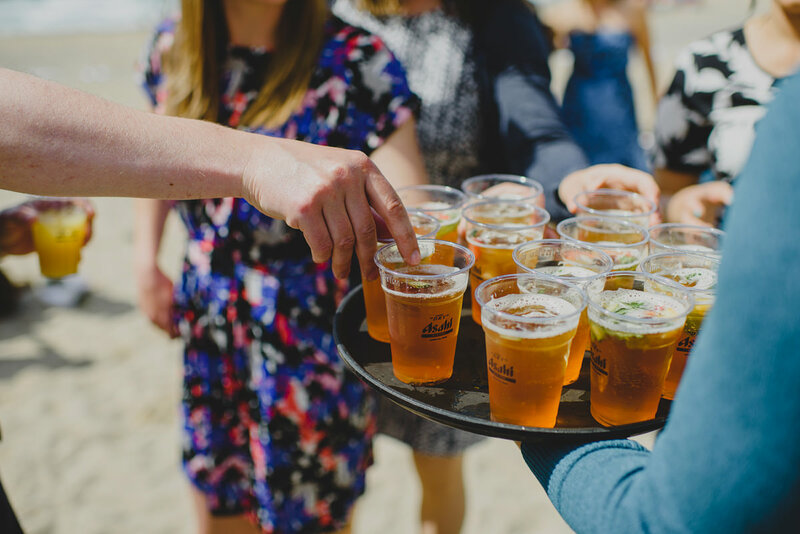 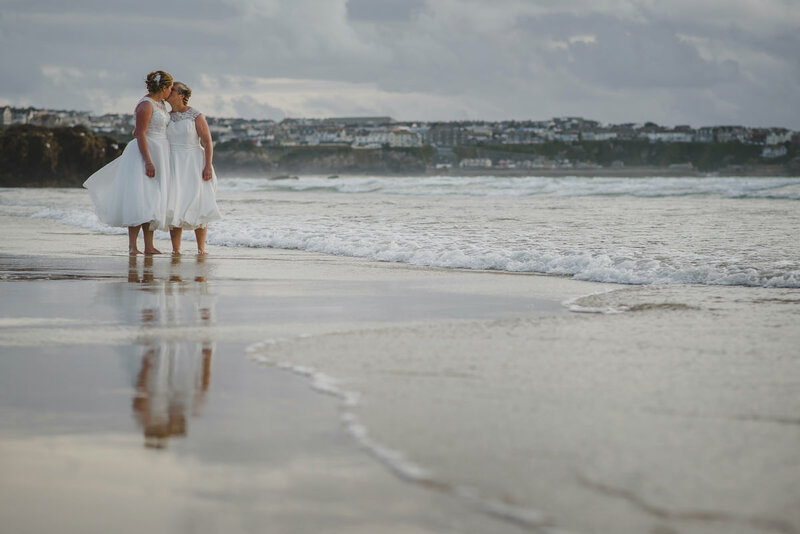 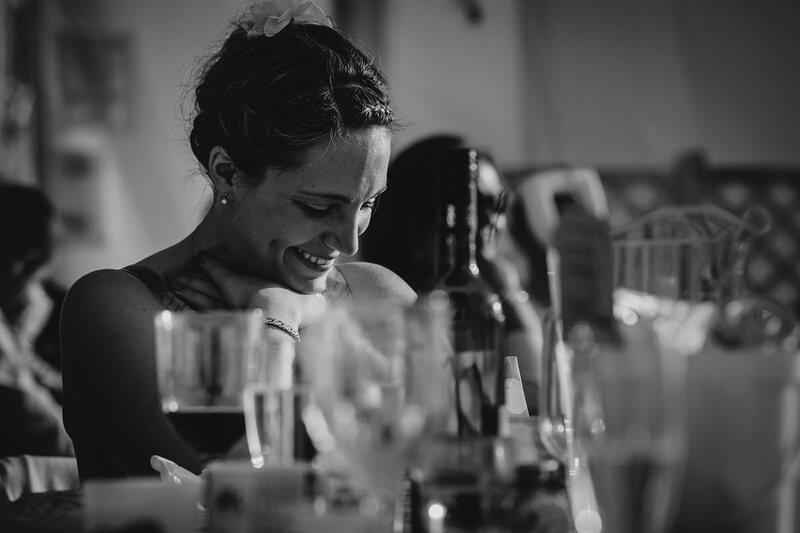 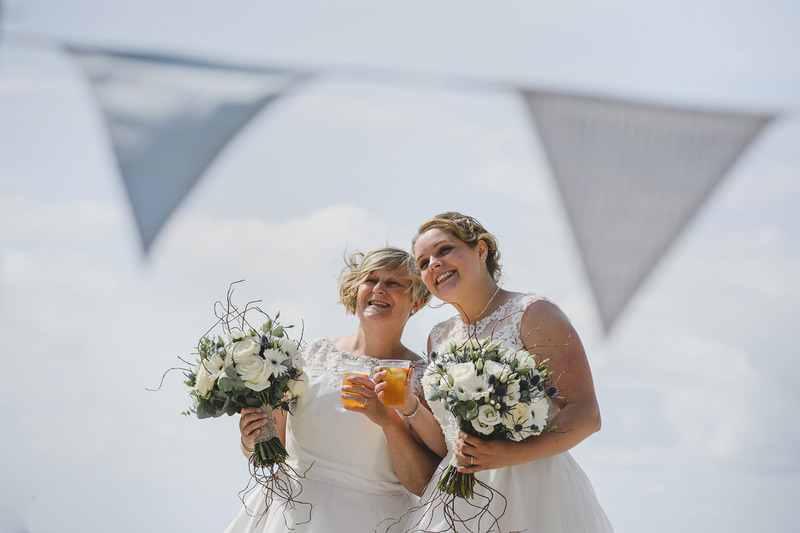 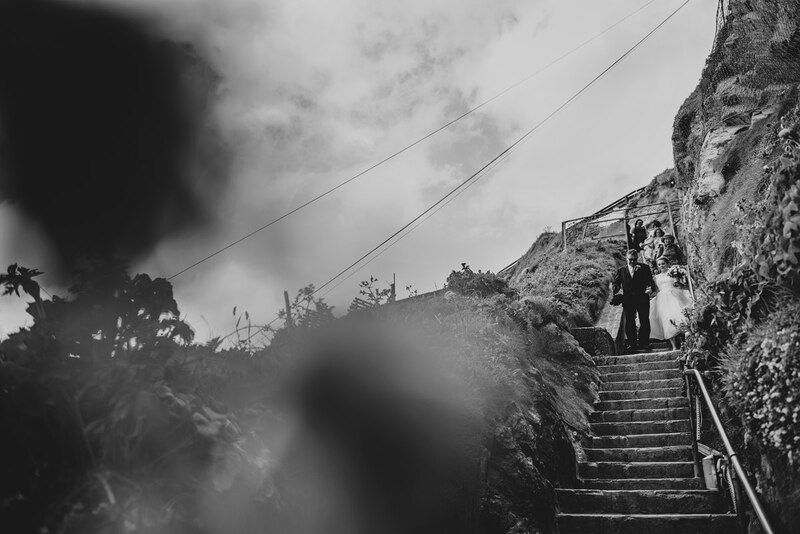 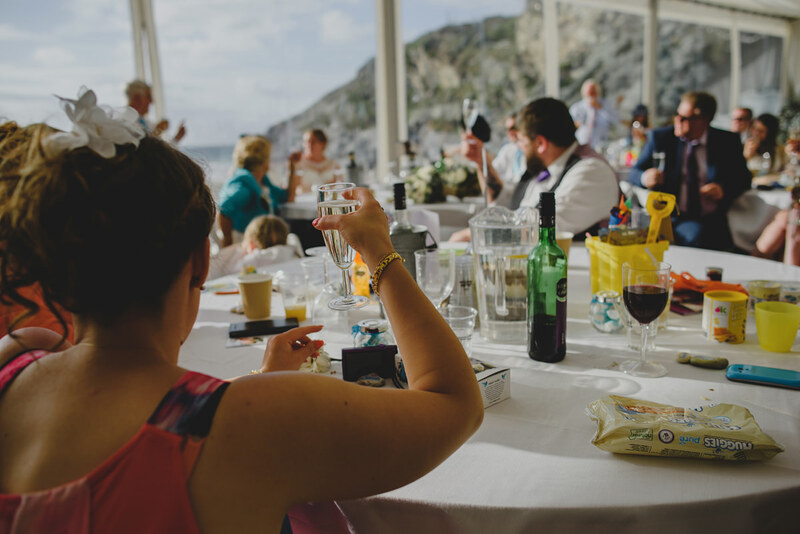 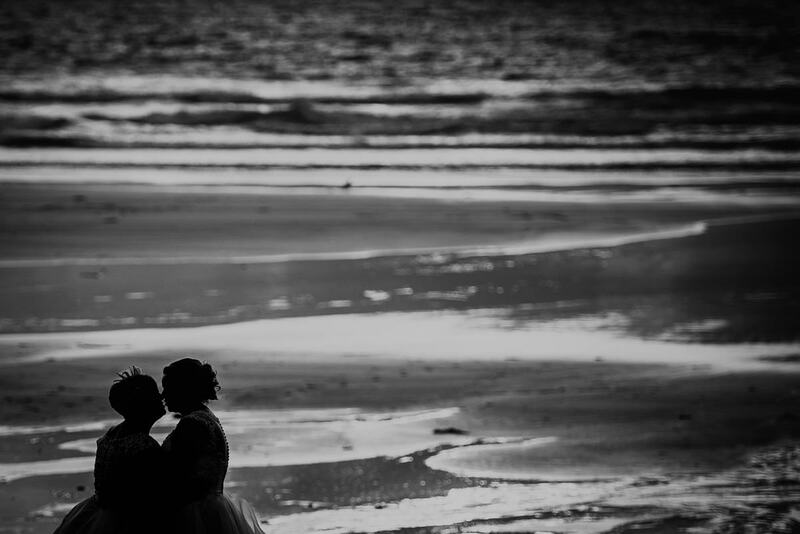 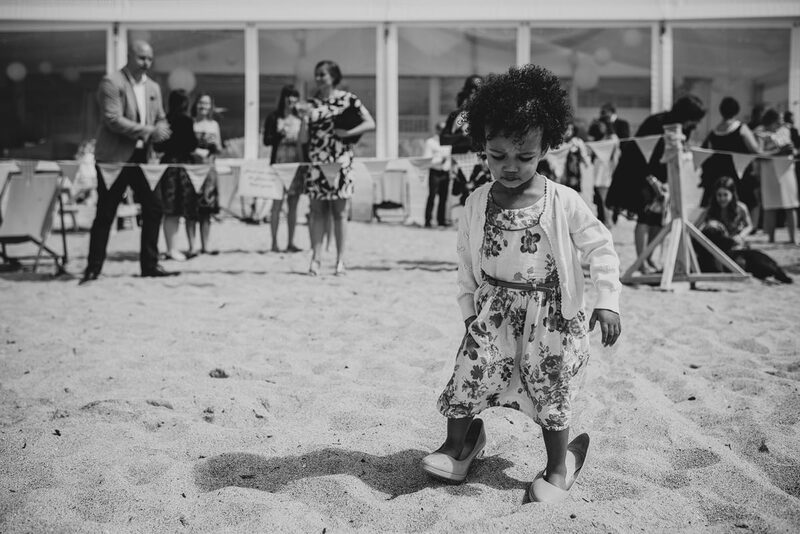 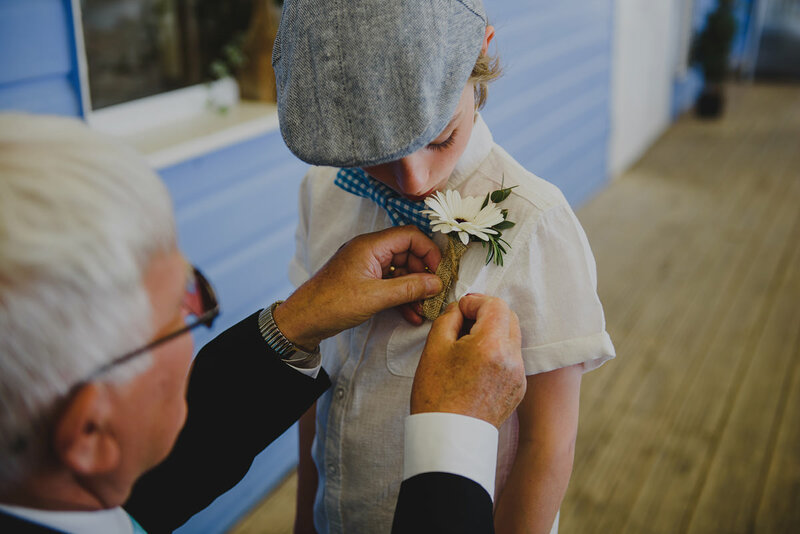 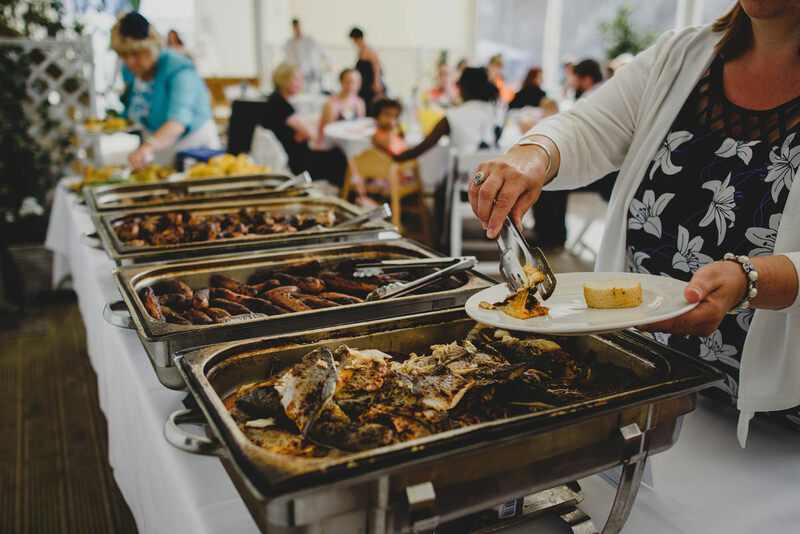 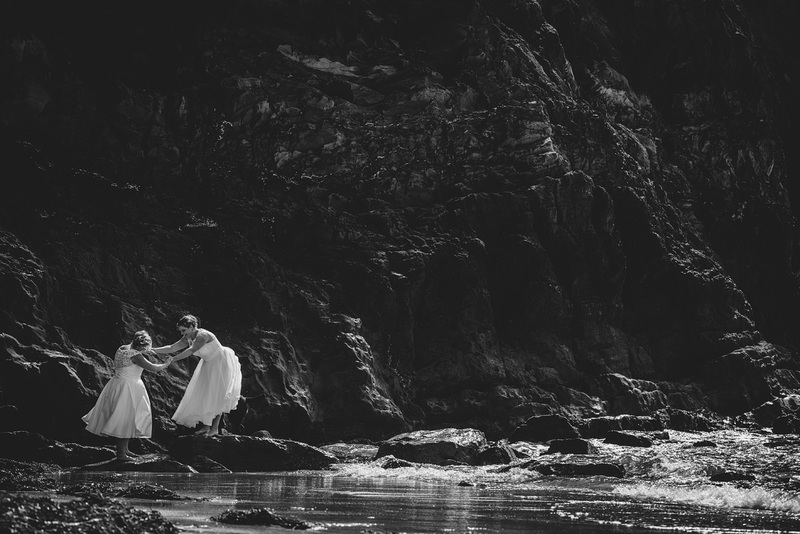 If you like what you see, you can see more examples of Lusty Glaze wedding photography. 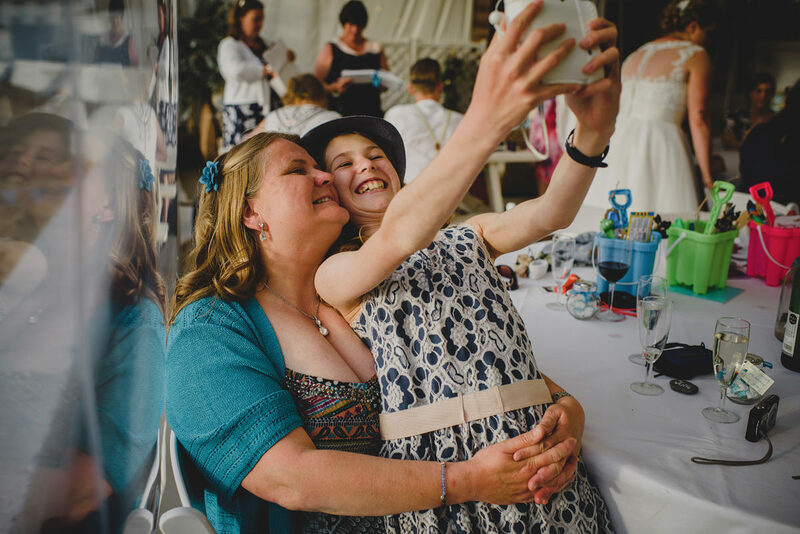 :) For most recent updates you can keep in touch with us via Facebook here and here. 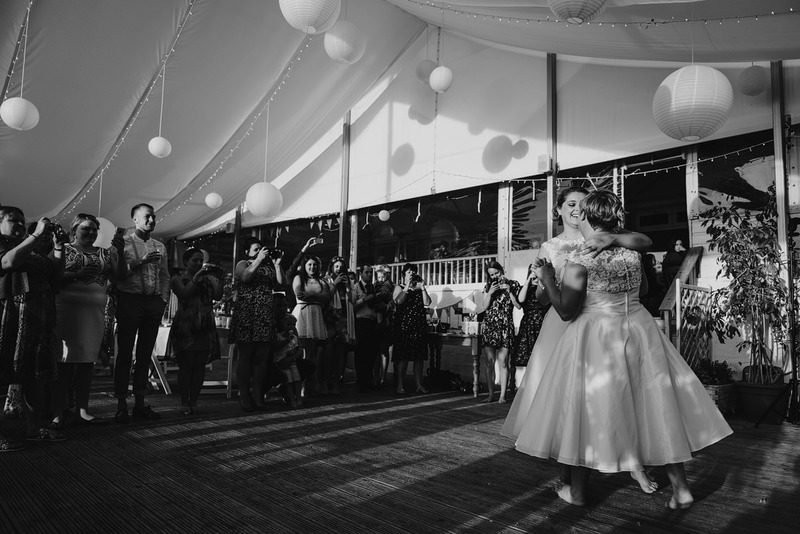 Sarah + Matt. 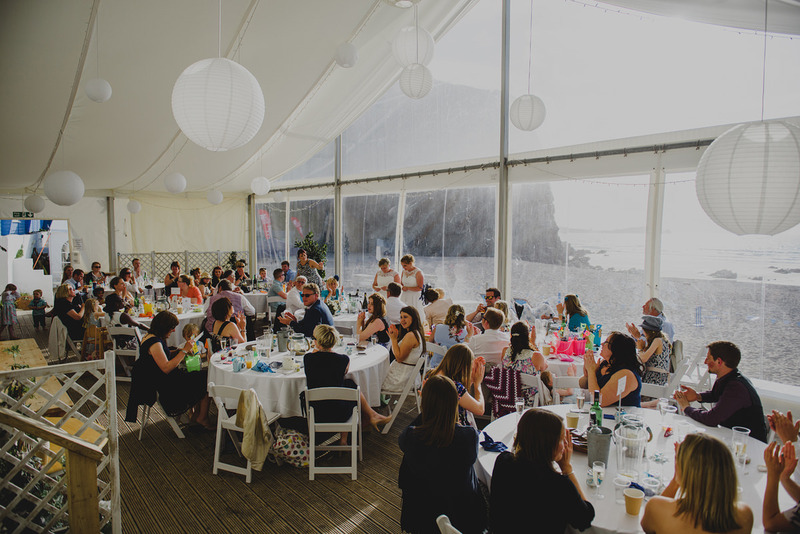 The Green Cornwall.